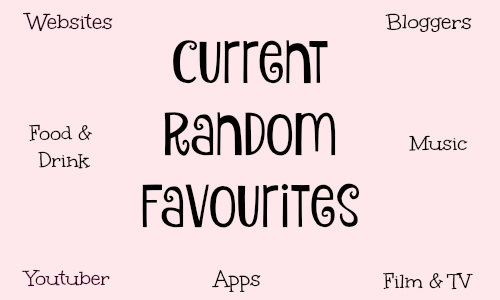 Today I have a favourites post for you and it's my current random favourites and as you can see from the image above there a few categories that fall into my current random favourites, these favourites span around the last 6 weeks and are all things I have been enjoying that are not beauty related, I am going to have a "current beauty favourites" post coming soon so keep an eye out for that but for now, here are my current random favourites. I haven't watched a lot of films recently but one I did watch and enjoy was "This Is 40" which is a spin off/sequel to the film "Knocked Up" This Is 40 stars Paul Rudd and Leslie Mann and follows their characters Pete and Debbie as they both turn 40 with their jobs, daughters and other stresses they are each facing adding to difficulties within their relationship. I really enjoyed the film I won't give the plot away and go into a lot of detail as I don't wan't to spoil it for those of you who might want to watch it but it was a great film and an easy to watch comedy, I can't watch anything I have to concentrate too much on and this was perfect, an easy to watch comedy, I would definitely recommend it. I can't write a random favourites post and not mention The X Factor (ITV1) and I'm A Celebrity (ITV1) can I? I didn't think I would like the new judges on X Factor but I've found them to be ok, Cheryl is my favourite though, the contestants I like are Lauren, Che, Reggie & Bollie and Louisa but I did really like Sean Miley Moore but unfortunately he was voted off, I don't think that will be the last we see of him though and I certainly hope not. I don't always enjoy I'm A Celebrity it all depends who the contestants are but this year so far it's been quite entertaining, I love the banter between Ant and Dec too they make the show for me, I don't know who I want to win as yet but I like quite a few of them so I won't list them all. 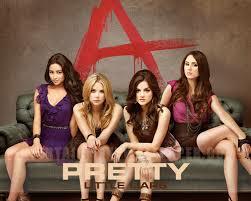 Something I started watching a few weeks ago is Pretty Little Liars (Netflix) I always assumed that PLL would be a bit young for me but after Lissy and Hannah telling me how much they thought I'd like it I decided to give it a try and now I am hooked!! I don't sleep well so usually watch PLL in the early hours on my phone with my headphones in, I'm currently on season 4 episode 6 and am really enjoying it, it is about 4 teenage girls all mourning the death of their friend Alison who went missing and was found murdered 12 months before, they all start receiving texts from someone called A and it soon becomes clear that A is out to cause trouble and ruin their lives and the lives of anyone they're close to, there are a lot of twists and turns with the main focus being "who is A?" I wish I'd started to watch it ages ago now as I really enjoy it, I doubt very much Simon would share my enthusiasm though so I'll continue to watch when I can't sleep but I really like it and would recommend trying it especially if you thought it would be a little young for you, you might get sucked in like I have. Some other TV shows I have been enjoying are Coronation Street (ITV) bet that's a shocker - not!! I also really enjoyed Dr Foster (BBC1) a 6 part drama about a GP who finds a blonde hair on her husbands scarf one morning and is convinced he's cheating, the drama unfolds with lots of twists and turns and was really good and in parts edge of your seat type viewing, I've since found out it's back for another series next year which I'm really pleased about. We've also been enjoying Paul O'Grady For The Love Of Dogs (ITV1) We are dog lovers, well animal lovers and really enjoy watching Paul O'Grady's show, there are lots of happy endings and unfortunately some sad ones but the good usually far out weighs the bad and it's a nice easy to watch show. I'm still loving Goggle Box (Channel 4) I have to admit I'm not to keen on some of the newer families but we still love it and our favourite is Scarlett from the Moffat family she makes me laugh so much, we also like June and Leon and a few others too, again it's easy watching, we love it! And the last TV show I have to mention, wow I had loads!! Is SAS Who Dares Wins (Channel 4) This was a show I didn't think I'd enjoy as much as I did and was about a group of men who all signed up for an SAS style training course ran by ex SAS soldiers it was really good and we got an insight into the personal lives of the men doing the course too and I found myself willing some of them on to finish, they didn't all finish the course but I won't spoil it for you, it is definitely worth a watch though especially if you enjoy documentaries, you can find all the shows I have mentioned on catch up or ITV Player, 4OD, BBC iPlayer or Netflix. A song I have been loving recently is Easy Love by Sigala it uses the Jackson Five ABC track and is very catchy, I really like it and it's been played rather a lot on my iTunes recently. 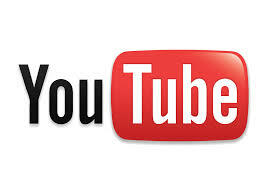 If you haven't heard it you can listen to it by clicking on the video below. 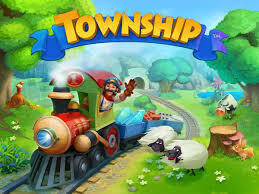 An App I recently downloaded is Township and if you like Hayday or are an old Farmville fanatic you'll like Township, it is a town (obviously) and you have a farm and other buildings and factories and have to make orders up for a train and an airport by using your farm and other factories, there are bonus things too and I have to say it's quite addictive, it's a free game so if you don't like it you won't have wasted any money. If you want to download it you can fin the Apple version here and Android version here. I haven't tried anything new food and drink wise but something we had a couple of weeks ago that we haven't had in months was fish and chips from the chip shop, I had mushy peas and gravy too and it was yummy! I have to have my peas and gravy in separate tubs though so I can put them on as I don't like the gravy touching my fish, I know I'm strange!! Another meal I've been loving recently is Simons home made version of Nando's which our girls call "Sido's" it is really nice, he makes it with wedges and it really is yummy! All he does is coat some chicken breast in the Nando's rub (medium) you can buy from the supermarket and cooks it in the oven, he spreads some Nando's perinaise also available from supermarkets onto a wrap and then adds some salad leaves (we like to use rocket, spinach and watercress) and some sliced onion. Once the chicken is cooked he slices it and adds it to the wraps, it is really nice and I would highly recommend you try it, the rub is available in hot too but be warned it is very hot, we have wedges with our wraps and sometimes coleslaw but it really is nice. A website I've been using a lot the last month and do use all year round but find it invaluable at this time of year is TopCashBack. TopCashBack is a cash back website where you earn money when shopping online, there is an annual fee of £5 but apart from that there is no catch, last year we earned £39.52 just from doing our Christmas shopping online, we didn't do it all via TopCashBack as sometimes I forget which is very annoying and some things were bought in store but the things we did buy online we made £39.52 after the £5 fee which is brilliant, I have been Christmas shopping online for the last 4 weeks and have already earned over £13 so far and still have quite a lot to buy, it is definitely worth checking out and you can refer a friend and when they have earned £10 you will be rewarded with £7.50, you can refer more than one friend too so worth doing I think and if you're signing up for broadband or insurances you can earn over £100 with some companies, we earned £5 with the lottery last year just by buying our tickets online, so worth checking out the different offers they have too. My blogger pick for my current favourites is the lovely Shona who writes the blog Shona Louise, Shona is a lovely girl and writes about beauty, fashion and lifestyle, over the last couple of years she has faced some tough medical problems and had major spinal surgery and a hip replacement and she is just 18 years of age, she is a remarkable young lady and a lovely one too. I have known Shona for quite a while now, my eldest daughter Cole used to blog and she and Shona started around the same time and used to chat now and then and Cole always spoke highly of Shona so I knew of her a long time ago and then when I started to blog we chatted more and more and now speak regularly over whats app. Shona had a bit of a break from blogging and I can't say I blame her, major surgery isn't an easy thing to go through but she handles everything so well and offers help to others with the same medical conditions as her, but now she's back to blogging and has some great posts, if you don't already read Shona's blog I think you'll love it as much as I do. 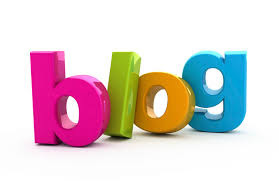 One of my friends Nicola recently started a you tube channel, Nicola has been blogging for a number of years now and had wanted to start a you tube channel for a while and after a few conversations of "shall I do it?" and me saying yes go for it she finally bit the bullet and made her channel, her channel name is the same as her blog name and is itsneecola, she has some beauty videos, some vlogs, hauls, empties and diy projects all of which are great video's. Nicola is a lovely girl and we have been friends for over 2 years now, she contacted me as a subscriber and we just hit it off, we spoke back and forth and then finally met up in the summer time and it was so lovely, we get on so well and I'm really pleased she started her channel, I really enjoy watching her video's and think you will too.